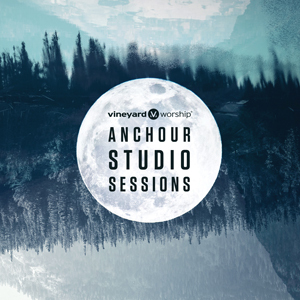 Vineyard Worship has released “Anchour Studio Sessions” through Vineyard Worship and all songs are now loaded into WorshipTeam.com “Anchour Studio Sessions” is a recording of some great new songs. Nestled in a small, unassuming town in Southern Maine is Anchour Studio – a thriving, full-service creative agency, media group and recording studio. This innovative team (whose worked alongside artists The Lone Bellow, Shakey Graves, David Gray, and Garth Brooks) endeavored to reimagine and breathe new life into 9 Vineyard Worship anthems. Musicians and worship leaders from all over the Northeast U.S. also collaborated on this effort, which will inspire churches and worshippers alike to discover new artistic expression and imagination within the songs we sing. All songs are loaded and ready to use- just access your WorshipTeam.com system database. Here is a video of Danny Mullins, a worship leader in Arizona recorded this video of how his church uses WorshipTeam.com for us to share with you. If you are a current user of WorshipTeam.com, let us know how you are using the service. We’d love to hear your story too! We are happy be helping churches everywhere. Some of our users are so excited about worshipteam.com, they are sending in emails, notes and encouragements. Danny Mullins, a worship leader in Arizona recorded this video of how his church uses WorshipTeam.com for us to share with you. Let us know how you are using WorshipTeam.com. We’d love to hear your story too.